Joelle Sezen Rogers is charged with engaging in organized criminal activity and theft of exotic livestock and Osheana Shemorrow Mitchell is charged with aggravated assault with a deadly weapon/vehicle, engaging in organized criminal activity, theft of exotic livestock, according to police records. 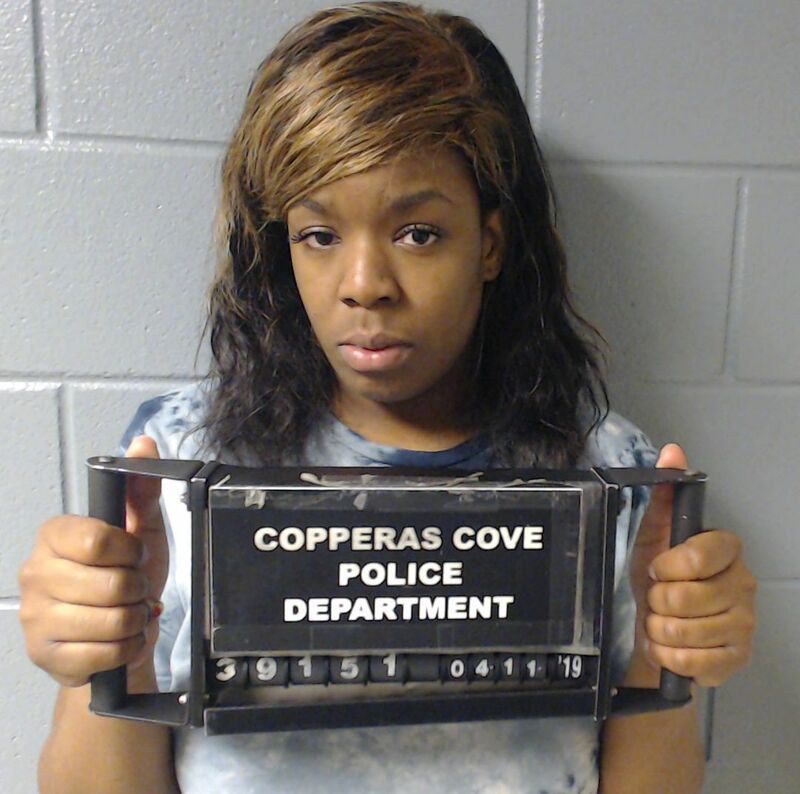 Police have arrested two women accused of stealing a baby Nigerian Dwarf goat from an exotic ranch near Copperas Cove last month, according to court records. “The goat died due to stress and improper care” after it was stolen, according to an arrest affidavit. Rogers and Mitchell were arraigned on Friday morning, said Lt. Jeremy Alber with the Copperas Cove Police Department. Cove police took Rogers and Mitchell into custody on Coryell County warrants around 10:44 p.m. Thursday night in the 300 block of Northern Dove Lane, Alber said. Rogers and Mitchell were arrested on warrants involving the goat theft. A man with them was arrested on a misdemeanor possession charge, unrelated to the goat theft, police said. The goat theft incident was reported March 18, when a deputy met with a family member of the owner of Topsey Exotic Ranch, located in the 900 block of County Road 118 in Cove. An official at the ranch told the deputy that four people in a black Dodge Dart removed a week-old Nigerian dwarf goat, a non-native species, from the petting zoo without the consent of the owner, according to the affidavit. She said the goat was only a week old and still dependent on his mother for survival. Friedel told the deputy that four people in a black Dodge Dart removed the goat from the petting zoo without the consent of the owner, according to the affidavit. Witnesses said that Rogers had hidden the goat in her jacket while a man blocked the view of her as she headed toward their vehicle, police said. A witness told police that she left the gift shop and saw two people jump into the vehicle and accelerate at a high rate of speed out of the parking lot, according to the affidavit. The witness identified the driver as Mitchell, and another man in the front passenger seat. Friedel said that because of spring break at the time, the ranch was packed. “A family came in and told me somebody was stealing a goat,” she said. Friedel walked outside and the screeching back tires immediately drew her attention. “I started to approach the car and said, ‘hey get out of the car,’ and it drove toward me and I jumped out of the way,” she said. Friedel said she was getting calls of concern for days afterward. Police said other witnesses gave accounts that coincided with Friedel’s story.